Why the heck would you get me all excited like that, knowing darn well I cant read it for another 2 months?!? I haven't read any of his books. Should I start with the first trilogy or this one book? Sounds good Pat! Do you think this story happens before, during, or after the first law..or does it say? I'm guessing, but from what I've read about who one of the secondary characters is, I would say it is after the first law trilogy. I'm tempted to pre-order a third copy of the book (I got a few friends into First Law and BSC is gonna make some great presents). From what is written I thought it could get a 9. But great review all around Pat, made me wish I had a copy of the book right here so I could get started. 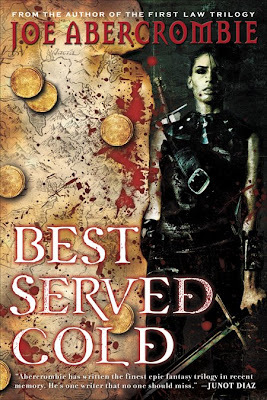 This is frustrating for me, because although your review makes this book sound right up my alley, I really couldn't get into The Blade Itself. Something about Joe's style of writing just wasn't doing it for me and I couldn't get myself involved so I put it down. And now here I am considering retrying him all over again! Damn you, Fantasy Pat, you conflict me! sounds great! pre-ordered, should be here in a day or two. (actually saw it in the bookstores on the weekend). 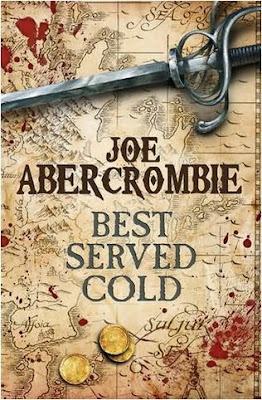 must say, Abercrombie is the best fantasy i've read in years! right up there with GRRM imho, and yet he knows when enough is enough. long live Joe, and many writings too.